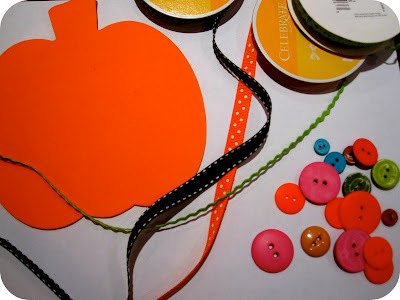 I am absolutely in love with all of the pumpkin ideas I am finding this year. 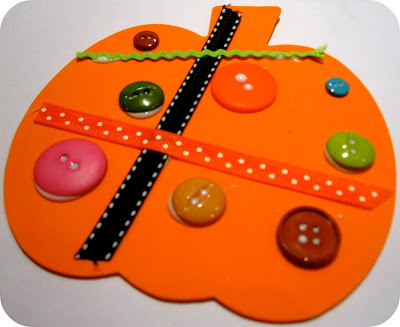 Jamie has a round up of 40 amazing pumpkin activities over at Hands On: As We Grow right now... just in case you need more inspiration. Two of my favorite ideas this year have both been no-carve pumpkin crafts. One with buttons and one with ribbon. I created some of these actual pumpkins last week with the teenage girls from church and it was a fabulous language experience. For an hour we created while we snipped ribbon, selected buttons, glued them on to the pumpkins, and admired one another's creations. I thought this would be an awesome language experience to replicate with preschoolers. The buttons and ribbons are so fun and unique that they just make it difficult NOT to be talking the entire time. 1. First we glued the buttons on. 2. Then we snipped the ribbon into different sizes. 3. Then we glued the ribbon on... and let the pumpkin dry. My main goal during this activity is to create a fun language experience. Adults can talk about colors, shapes, and sizes with the kids and encourage the children to talk with one another. 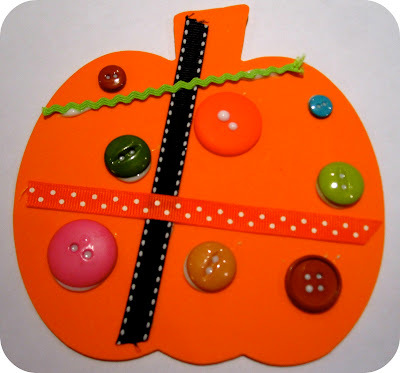 You could also make large cardboard pumpkins and have this be a shared experience by putting children together with a partner. 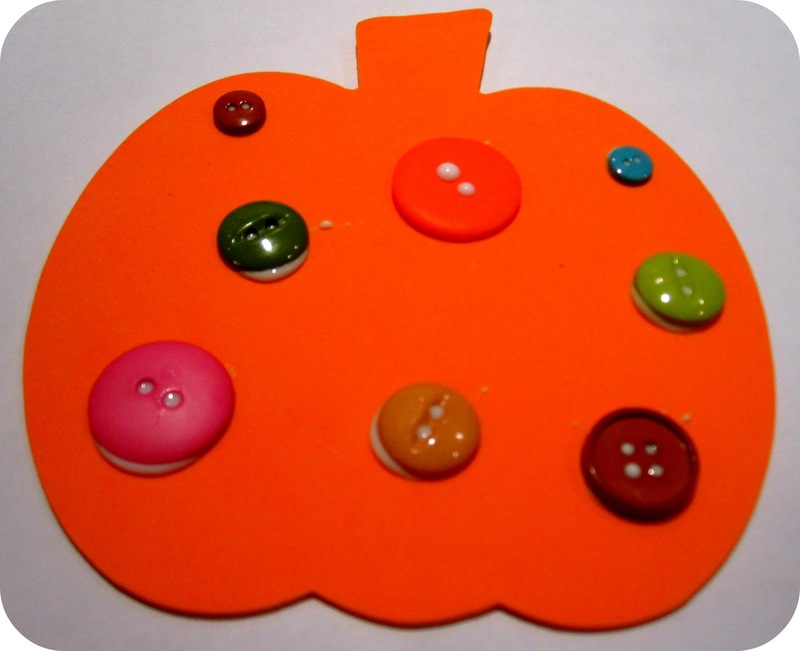 The children could work together to add the buttons and ribbon and discuss where they want each object to go. The product is simple and very open-ended because the process is the most important part of this activity. Such cute activities! Thanks for sharing! I really love this idea! Would you share it on my Halloween Traditions link up? What great way to reuse buttons and trim! I really love all these ideas! beautiful! I love how the ribbons look! Wow, they are sooo cute!! What a great idea. Thank you so much for linking to Fun Sparks. Sorry for the late visit. These are beautiful! Isn't fall a fantastic season for crafts? Thanks for sharing on Monday Madness, can't wait to see what you link up next week.